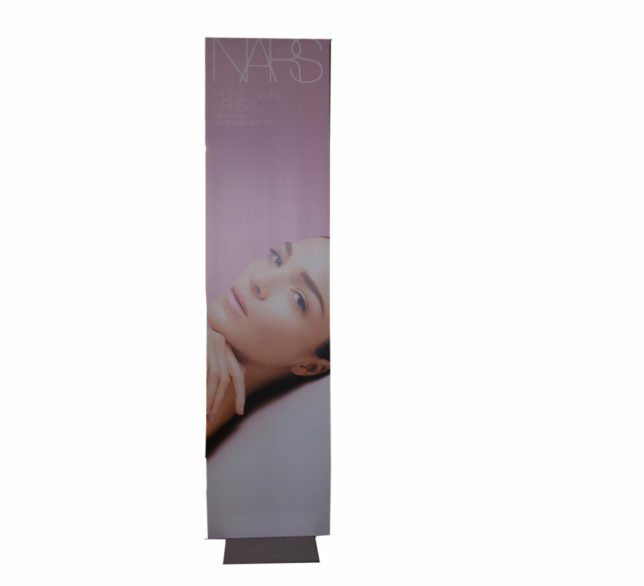 Probably the most portable of all our products, banner stands are easy to use and create a big impact from a small package. Not all banner stands are created equally, however. This is one product where “you get what you pay for”. 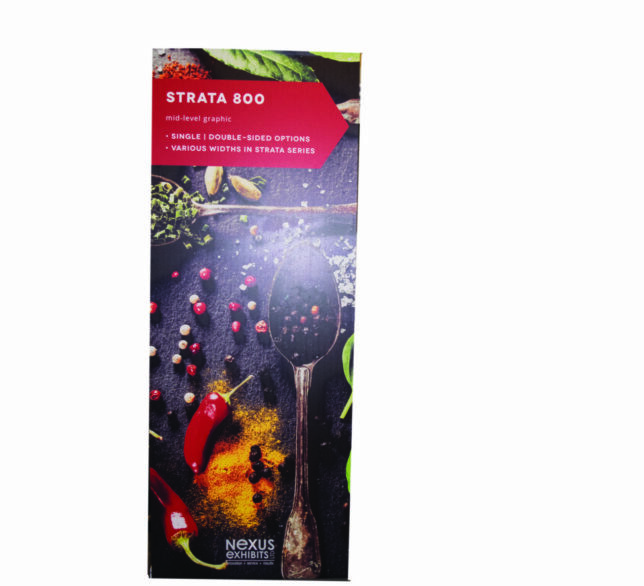 We’ve tested our banner stands to ensure the retracting mechanisms hold up to repeated use and we’ve researched print materials and laminates that last and won’t curl on the edges. We offer a range of models, both single and double-sided, as well as lights and accessories to accompany them. 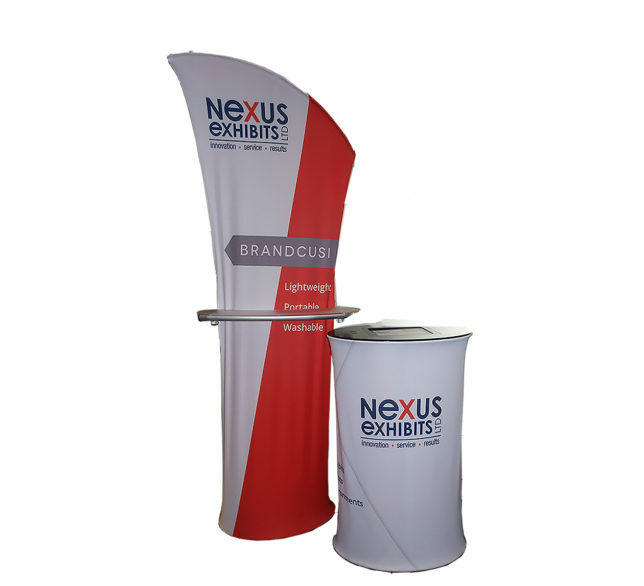 When a traditional bannerstand is just not enough, this double-sided fabric bannerstands are perfect for displaying at any event. Lightweight and roll up into a small molded carrying case, it’s a great additional for attention grabbing. Displays can be straight, curved, or angled. 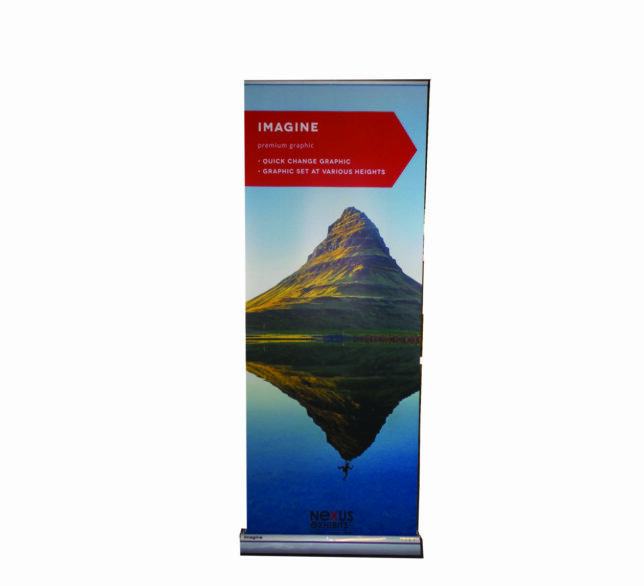 A beautiful double-sided floor banner, the Eurostand is a prime example of great design. With a discrete base. 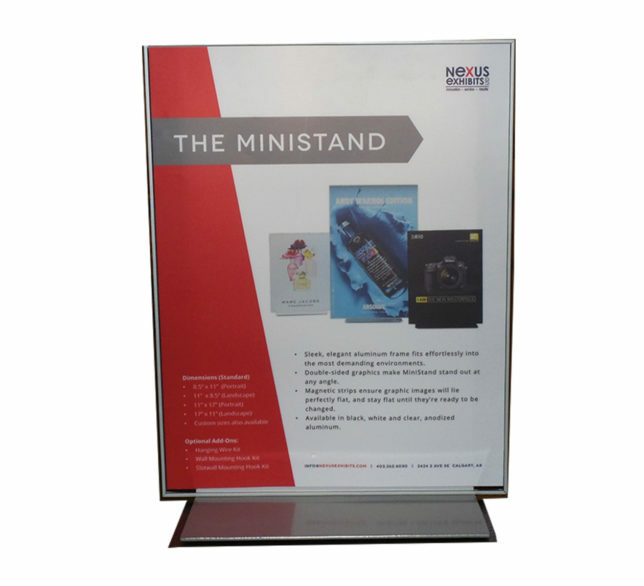 suited to any display style and with no visible connectors or poles, the easily changeable double-sided graphics ensure that your message takes center stage no matter the angle. Sleek, Elegant aluminum frame fits effortlessly into the most demanding environments. 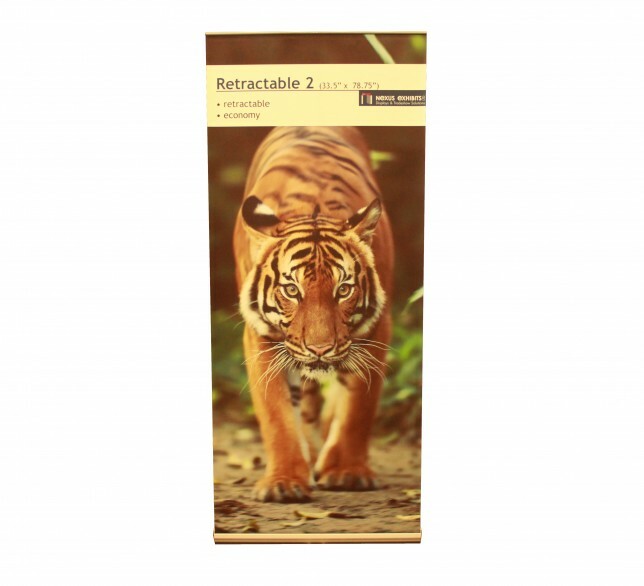 The Breeze™ 2 is ideal for custom calendars and other promotional banners. Designed to add the final touch to any space. 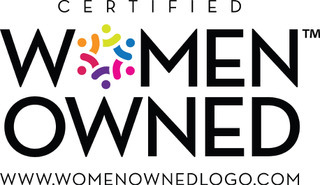 Single sided, 11″ × 17″ sign, weighs 2lbs. When you work with Nexus, you get rid of the headache while maintaining control. We’ll set you up with a designer, who will work with you to turn your concept into a fully realised idea. The approved design goes to our fabricators who turn dreams into realities. We’ll build your display with details like weight, storage, and mobility in mind. The end result is an effective, functional, and innovative display. And it all starts with you! Bring us your concept today; we can’t wait to bring your “wow” to life. 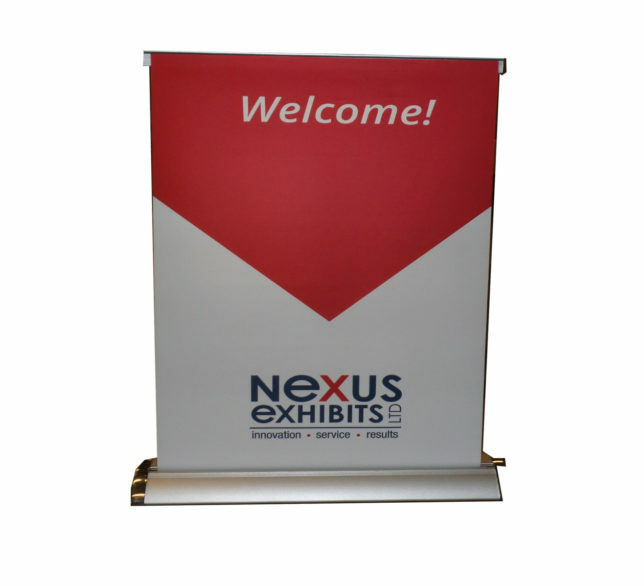 In an effort to serve you better, Nexus Exhibits has been developing various online tools and systems to allow our clients access to their inventory, our rental items and more. If you would like more information about our growing library of online tools please contact us. 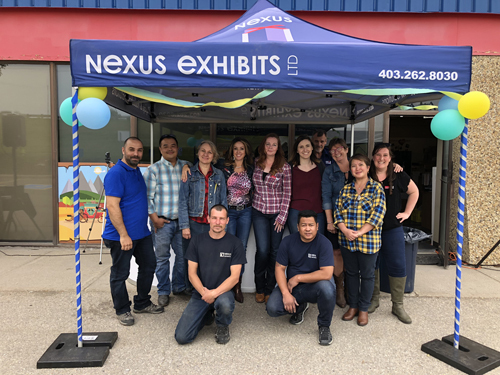 Whether your item is covered by the incredible Nomadic Lifetime Warranty or a bannerstand you found at the back of a storage closet, the Nexus Repair Centre can breath new life back into your item. Less is more – don’t overload your display graphics with too much information. The purpose is to attract attention and instantly tell a visitor what you’re about. Save the details for your brochure. Not all bannerstands are created equal. 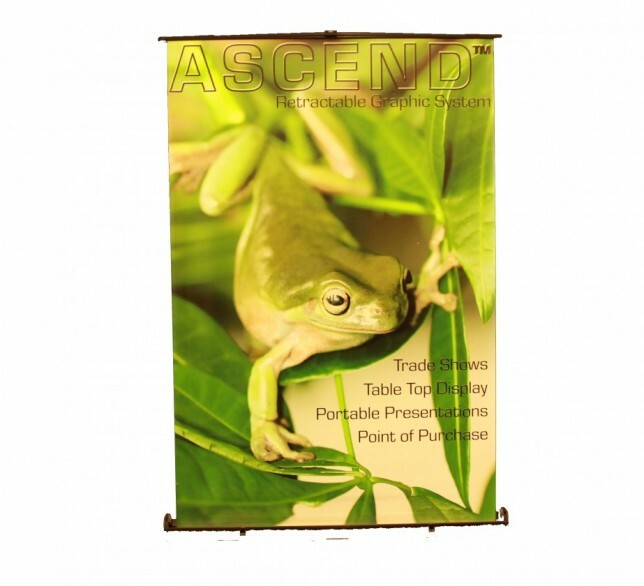 They may look the same, but the expression “you get what you pay for” is true when it comes to the internal mechanisms and print quality of a retractable bannerstand. Lose the table! A draped table across the front of your booth says “don’t come in”. Spend on good display units for your products that show off what you have to offer. If you’re designing your own graphics, remember that most displays sit on the floor, so the bottom third of the display is not readily visible and therefore not a good place for important information. A large sales force may be impressive-looking, but overloading your booth with staff makes it intimidating for visitors to enter your booth. Use a concept – a good marketing plan takes a unique concept and applies it to all aspects of your display. Draw attention to yourself with something clever that stands out. Copyright © Nexus Exhibits 2018. All Rights Reserved.